A week after suffering a very tough loss to St. Thomas, the Hamline University Pipers headed to Moorhead, MN to take on the Concordia College Cobbers. This was a nightmare of a game, as the Pipers offense was smothered by the Concordia defense all game long, producing just 37 total yards of offense, suffering four sacks and punting 10 times in the 55-0 clobbering. 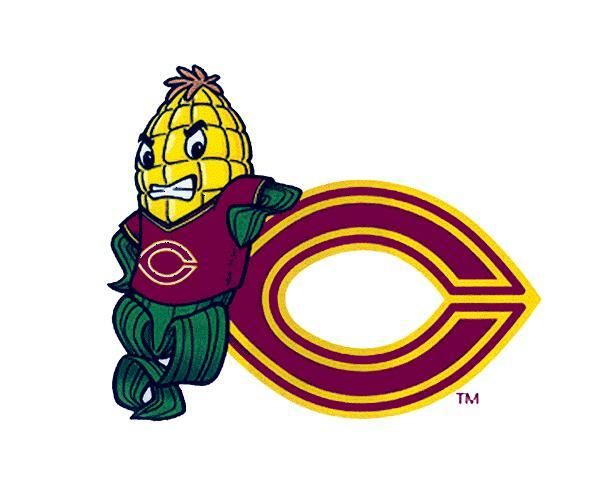 Meanwhile, the Cobbers ran for 393 yards and six touchdowns. The Cobbers would score on their second possession of the game. After taking over at the Hamline 49, it took just four plays before they would find the end zone. On the first play, quarterback Blake Kragnes connected with Kevin Marzolf for a 27 yard completion. Three plays later it was the Kragnes to Marzolf connection again, this time for a 20 yard completion and the touchdown. With about two minutes left in the first quarter, the lead became 14. After the third straight three and out for the Hamline offense, Concordia went to work from their own 47. Kragnes led the way with a 16 yard carry on the second play of the drive. A 24 yard completion to Marzolf put the ball at the 12 and he would keep the ball on each of the next three plays, scoring from one yard out to make it 14-0. Hamline had played pretty well through the first 15 minutes but the second quarter proved to be a nightmare. The Cobbers would score on their first possession of the quarter, as Matt Bye capped off an 8-play, 65-yard drive with a 35 yard touchdown run. On their next possession, Rylie Sheridan took the handoff on the first play of the drive, and raced 53 yards for the score. That made it 28-0. The Pipers would give the ball right back to the Cobbers on the next play, when the pass by Justice Spriggs was intercepted by Noah Taylor and returned five yards to the Hamline 20. One play later, Kragnes connected with Marzolf for their second touchdown of the game to extend the lead to 35. Concordia would add one more score just before the end of the half. After regaining the ball at their own 40, the Cobbers moved 60 yards in 10 plays to extend their lead to 41. Six different players carried the ball on the drive, with Kragnes scoring from seven yards out for his second touchdown run of the game. While Concordia seemed to be scoring at will, Hamline was finding no success. They had the ball for a total of 24 plays in the first half, gaining 25 total yards, and 19 of that came on their last possession of the half. Their longest possession was five plays and 2:09 off the clock. Concordia College added two more scores in the third quarter. The first came on their first possession after the break. The team moved 50 yards in 11 plays before Andy Gravdahl scored from 11 yards out to make it 48-0. Their next possession required just four plays to move 50 yards. 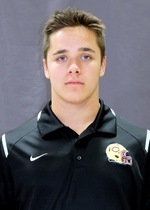 Sean McGuire scored from 23 yards out to close out the scoring as the Cobbers won 55-0. Blake Kragnes had an impressive contest, completing 9 of 13 passes for 130 yards and 2 touchdowns. He also rushed 7 times for 37 yards and 2 scores. Rylie Sheridan had 75 yards rushing on 5 carries, and he scored a touchdown. Kevin Marzolf had 6 receptions for 114 yards and 2 TDs. The Concordia defense had 4 sacks on the afternoon and recorded nine tackles for a loss. The Hamline defense was led by Luke Trudell, who had 19 tackles. The Hamline University Pipers (0-4) will look to get into the win column next Saturday night when they host St. Olaf. Kick off is scheduled for 7:00.